How’s this for a change of pace? 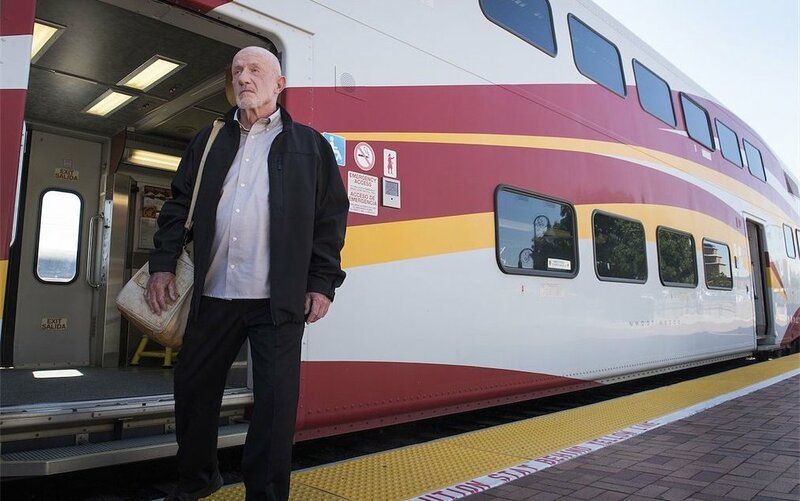 Last week, Better Call Saul shifted the perspective from Jimmy McGill to Mike Ehrmantraut for its closing minutes as it concisely put into focus the lonely and closed off existence that Mike has built around himself. The final beat had two officers from Philadelphia arriving to question Mike about a matter from his old home city, and although “Five-O” follows up on this, the majority of the episode details the tragic and noir-laced circumstances that led to the estrangement from his family and his eventual arrival in Albuquerque. Aside from a brief appearance from Jimmy when Mike calls upon his services in custody, “Five-O” takes a notably serious side-turn from the lighter McGill saga. Jimmy does get some great moments in his limited screen time, from the coffee spill routine to the line, “I look like a young Paul Newman, dressed as Matlock,” though the meat of the episode rests in Mike’s relationship with his widowed daughter-in-law Stacey. The death of Mike’s son, who was also on the Philadelphia force, put a strain on them, explaining their apprehensive looks at each other last week. Their weathered existence with each other is reflected in the scene where Mike plays with his granddaughter Kaylee on the swings, where a high angle shot reveals the patchy backyard and difficult history is drudged up between them. This difficult history is represented in the blue-tinted flashbacks that adorn “Five-O,” evoking the chilly, hard-bitten atmosphere of film noir. All of Mike’s actions that bring him to this present state are fueled by the revelations that spill out in a teary-eyed monologue to Stacey. Jonathon Banks already elevated Mike to iconic status during his tenure on Breaking Bad, but “Five-O” cracks open the hidden mysteries of his life in such a way that completely reinvents how this character is viewed. Banks too reveals greater depths in this man throughout his performance here, and the concluding monologue is a crowning moment for the storied character actor’s career. 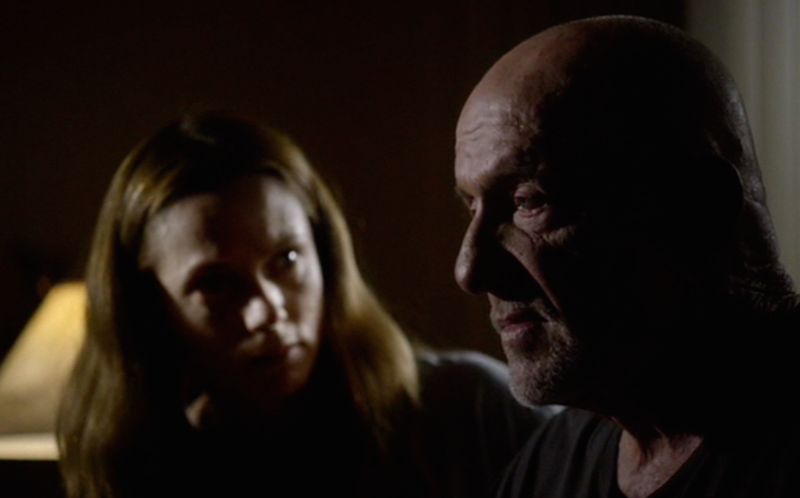 I would be curious to know the reactions to this episode from Better Call Saul viewers who haven’t had the chance to go through Breaking Bad, and this is something that ran through my mind once I realized that the hour would be dedicating it’s time almost solely to this haggard man. Breaking Bad fans certainly gain a lot from seeing Mike’s past explored in detail, but what of the viewers who only know Mike as the amusing parking attendant? This is the ultimate problem with prequels in general and one that I hope the shows writers can sidestep in the future: prequels are written with the foreknowledge of what happens later, meaning that writers can have a tendency to place greater importance on elements that don’t hold as much weight for people who lack said foreknowledge. They’re taken along for the ride without entirely understanding the import of these events, especially when a show unexpectedly swerves to the side for an ancillary character at best. This isn’t to say that the events lack the necessary weight, and once the episode transitions back to Philly again to Mike walking into a bar from a dark alley it’s become totally immersed in the iconography of film noir. The high contrast blue-tinged lighting and Mike’s boozy interactions at the bar fill out the generally chilly tone, one that turns especially dark once he exacts revenge on the two officers who murdered his son. Also interesting is how these events concerning Mike and his son strained his relationship with Stacey much like how Slippin’ Jimmy did the same with Chuck, adding in a thematic thread that ties Jimmy and Mike’s stories together in a way that will likely bring them closer together. To these two men, their stories are ones of repair and absolution in the face of greater disappointment, but seeing how this is only the beginning of their stories I highly doubt that their reaches for redemption in the eyes of family will last very long.